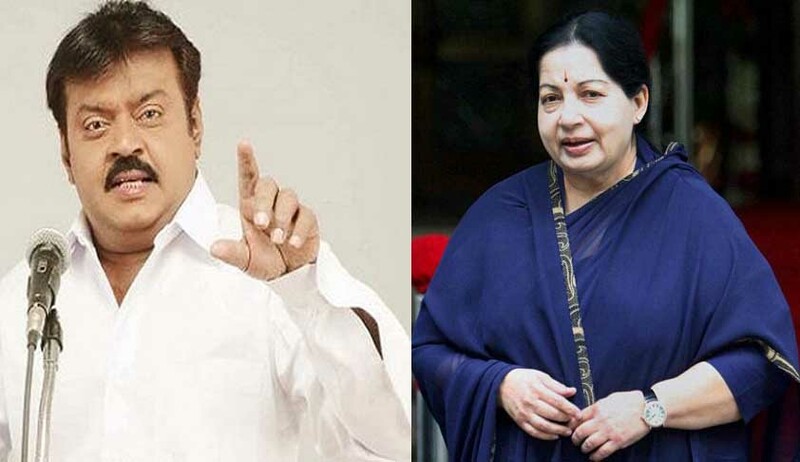 A two Judge Bench of the Supreme Court of India Today has issued notice to Jayalalitha Government and the Centre in a Criminal Writ Petition filed by DMDK Leader Vijayakant seeking quashment of Defamation Case filed against him by Tamil Nadu Government through Public Prosecutor. A defamation case was filed against Vijayakant by the government, following his remarks on the Aavin milk scam. The Bench headed by Justice Dipak Misra has also extended the interim stay of lower court proceeding against Vijayakant until further orders. Advocate G.S. Mani, who appeared for Mr. Vijayakant, submitted that though the constitutional validity of Sections 499 and 500 of the Indian Penal Code (IPC) and Section 199 of the Code of Criminal Procedure has been upheld in the case of Subramanian Swamy vs. Union of India, Ministry of Law & Ors. (2016 (5) scale 379), yet the present case, apart from the constitutional validity, also harps on the concept of fair criticism, discernment and dissection of activities of the State Government and disapproval of views taken in the matters of administration and policy decisions. The Petition also raised a question whether the authority who is entitled to launch a prosecution under Sections 499 and 500 IPC through the Public Prosecutor should do it against a person solely because he is critical or has a different opinion. Public Prosecutor- A post office of Government? It is also submitted that the office of the Public Prosecutor has its own independence; and the Public Prosecutor has been conferred an independent role under the provisions of the CrPC and he cannot become a post office in the hands of the authorities to file prosecutions for criminal defamation without scrutinizing whether a case is made out or not. It is urged by him that a sustained democracy is predicated fundamentally on the idea of criticism, dissent, and tolerance, for the will, desire, aspirations and sometimes the desperation of the people on many an occasion are expressed through such criticism. He further argued that the citizenry right to criticize cannot be atrophied by constant launching of criminal prosecution for defamation on each and every issue to silence the critics because when criticism in a vibrant democracy in this manner is crippled, the democracy which is best defined as the “Government of the People, by the People, for the People” would lose its cherished values. Mr. Ranjit Kumar, Solicitor General, submitted that, apart from the Public Prosecutor who has a definitive role under Section 199(2) of the CrPC, the sanctioning authority also has a significant and sacred role under sub-section (4) of the said provision and, therefore, a complaint cannot be filed in a routine manner to harass a citizen. Under Section 199(2) CrPC, when any offence falling under Chapter XXI of the Indian Penal Code alleged to have been committed against a person who at the time of such commission, is the President of India, the Vice- President of India, the Governor of a State, the Administrator of a Union territory or a Minister of the Union or of a State or of a Union territory, or any other public servant employed in connection with the affairs of the Union or of a State in respect of his conduct in the discharge of his public functions a Court of Session may take cognizance of such offence, without the case being committed to it, upon a complaint in writing made by the Public Prosecutor. The Bench has issued the notice returnable within four weeks. The Court has directed to list the matter on 24.8.2016.